The Missionaries of Africa (also known as “The White Fathers”), are an international Missionary Society of priests and brothers, founded in 1868, by Cardinal Charles Lavigerie, Archbishop of Algiers and Carthage in North Africa. The name “White Fathers” comes from their habit. This is based on the traditional North African dress of a white gown (gandoura) and a white hooded cloak (burnous). 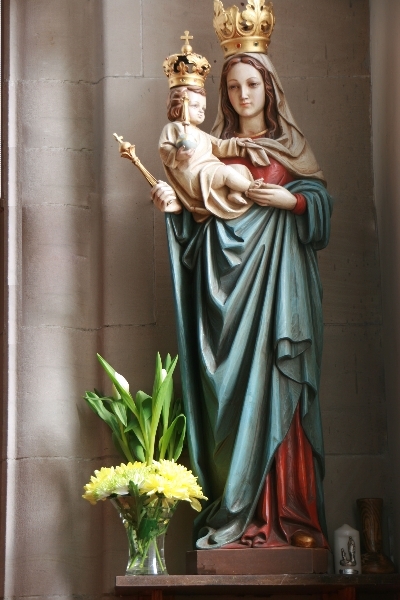 A rosary is worn around the neck. The Missionaries of Africa arrived in Great Britain in 1912. 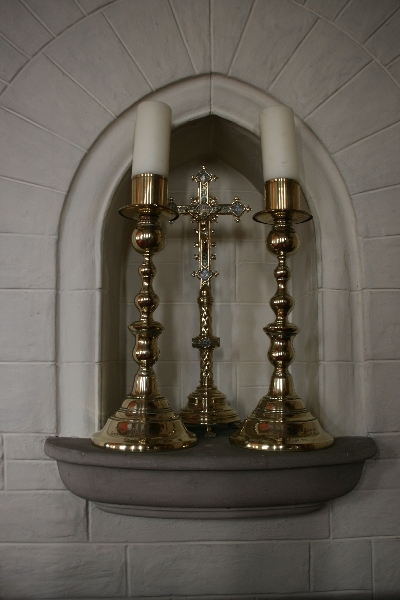 Their first foundation was in the Diocese of Portsmouth at The Priory, Bishops Waltham, Hampshire. The already existing house was opened as a Junior Seminary. During the course of the following years, further houses were opened in both England and Scotland to cater for growing needs. Individual members are involved in various Society activities. Care of sick and elderly missionaries is a major concern. At weekends, missionaries visit assigned parishes preaching about their work and collecting funds. Others have a specific work such as editing their magazine Missionaries of Africa (White Fathers), and other Media work, or in necessary administration. Ministry in neighbouring parishes is undertaken whenever possible as a way of helping the local Church. Justice and Peace issues are also to the forefront of their work, as is the promotion of Vocations to the missionary life. Missionaries of Africa come from many different countries both within Africa and elsewhere, such as: Burkina Faso, Burundi, Congo RDC, Cote d’Ivoire, Ethiopia, Ghana, Kenya, Malawi, Mali, Mozambique, Nigeria, Rwanda, Sudan, Tanzania, Togo, Uganda, Zambia, Brazil, Canada, India, Mexico, The Philippines, United States, Belgium, France, Germany, Great Britain, Ireland, Italy, Luxembourg, Poland, Spain, Switzerland and The Netherlands. Any ministry which has a real relationship with Africa, no matter in what part of the world it may be, is considered by the Missionaries of Africa to be within the scope of their Apostolate. Their aim is to proclaim the Gospel to the peoples of the African world. Because of its origins, the Society has always had a particular interest in making contact with and understanding Muslims and the Islamic world. Within Africa and the Middle East they find work in Algeria, Burkina Faso, Burundi, Congo RDC, Cote d’Ivoire, Ethiopia, Ghana, Israel, Kenya, Lebanon, Malawi, Mali, Mauritania, Mozambique, Nigeria, Niger, Rwanda, South Africa, South Sudan, Sudan, Tanzania, Togo, Tunisia, Uganda, and Zambia. In Africa, through parish work, building up Small Christian Communities, working with the Media, involvement in justice and peace issues, inter-religious encounter, care for the environment, agriculture, seminary training both for themselves and for the various dioceses, education and social welfare, the Missionaries of Africa aim to work in partnership with the local Church in Africa…and above all else, to help build up the leadership of the Churches. The Missionaries of Africa have a number of training centres for future priests and brothers in Africa, South America and Asia. In other areas, a period of initial training and follow-up may take place in one’s own country, where applicants (perhaps aged 21-30 years) are invited to “come and see” and experience for the first time what community life is all about. A second step in training is the Spiritual Year (Novitiate) which takes place in Africa and lasts for one year. This is done either in English or French. A third step is the period of Apostolic Experience which lasts for two years, and takes place in an international community in Africa. A fourth step is a serious theological preparation in Africa for the candidates’ future ministry, which concludes with the taking of the Missionary Oath, and for the future priests – ordination to the Diaconate and Priesthood. (Usually in one’s own country). The Missionaries of Africa stress the importance of community spirit and working together. Even though their work may take them away for some time from the community, the community is the home to which they return. The international aspect is a feature of our community life – people coming from different continents and countries living and working together. From the very beginning in 1868, Cardinal Lavigerie, Founder of the Missionaries of Africa, wanted the group he founded to be a society of missionaries living in community, residing, praying, and working together; and he laid down that they should never be less than three together. There were, of course, practical advantages to be gained from community living. Missionaries could support each other in difficult and dangerous times. They could care for each other’s material and spiritual needs. They could also be an effective team that worked together in the missionary apostolate. However, there was a more important and fundamental reason for adopting community life. The earliest Christians lived in communities, sharing their possessions and witnessing to Our Lord’s great commandment of fraternal love. “See how they love one another” was the reaction of their pagan contemporaries, as Tertullian noted in the 2nd Century AD. Community life was a lesson in itself. People in Africa who witnessed the community life of the first Missionaries of Africa called them “the people who eat together”. Because of the “Rule of Three”, the Society did not offer single missionaries to bishops for work in their dioceses, but communities. Throughout the Society’s history there has been a constant effort to resist the break-up of its communities. If very special circumstances require a missionary to work on his own, he will usually have a “community of reference” or be attached to a non-White Father community. Missionaries of Africa are “apostles” or promoters of community wherever they happen to be. Since many bishops in Africa adopted the building of small Christian communities as a “pastoral” priority in their parishes, the communities of Missionaries of Africa have taken on a role of leadership and example in this apostolate. The kind of community adopted by the Missionaries of Africa was called by Vatican II: “Communities of Apostolic Life”, i.e. it is defined by the missionary apostolate and not by religious or monastic life. At the beginning of the Society’s history, the Founder, Cardinal Lavigerie, chose Jesuit priests to be the first novice masters. This was not because the Cardinal himself followed the spirituality of Saint Ignatius of Loyola, but because he saw Jesuits as practical missionaries who were able to unite prayer and action. 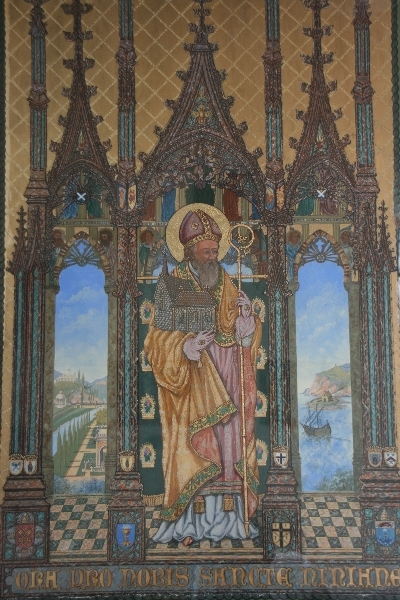 Jerome Nadal, who was an early companion of Ignatius, coined the phrase “contemplative in action” to describe the saint’s own personal, spiritual life. This summed up the Cardinal’s ideal. He did not want the novice masters to turn White Fathers into Jesuits, but to respect the Society’s apostolic charism and its commitment to community life. As Cardinal Lavigerie asked the Jesuits to be the first novice masters in his new foundation, they follow Ignatian Spirituality in their community and prayer life. to transform by love the already-strengthened resolutions. Prayer – Each day the White Fathers pray the Vocations Prayer in their communities, asking the Lord to call more young people to serve as missionaries in his church. Please pray with them for vocations. 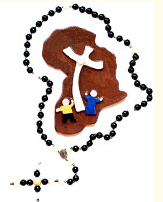 St. Anthony’s Burse – By contributing to St. Anthony’s Burse for the education of future Missionaries of Africa, you will be helping to spread the Good News of the Gospel in Africa. The Bursary Fund is open to donations of all kinds, large or small. Thanks to Julie, your Webmaster, for her invitation to make a contribution to this well-presented site of St. Mary’s, Nairn. I am happy to be part of this family. Although I am not from Nairn, I always feel I am at home when I am there. So what are my connections with St. Mary’s? Well, it really started at Kinloss, when my Dad, Michael Madden, was stationed there, as a flight engineer on Shackletons. I attended Kinloss primary school. The Headmaster was Mr. Slorrach, whom I still remember with great admiration. This was the era before chaplains at Kinloss, so we Catholics were part of the parish of St. Margarets, Forres. The parish priest was Canon Alastair Kennedy. 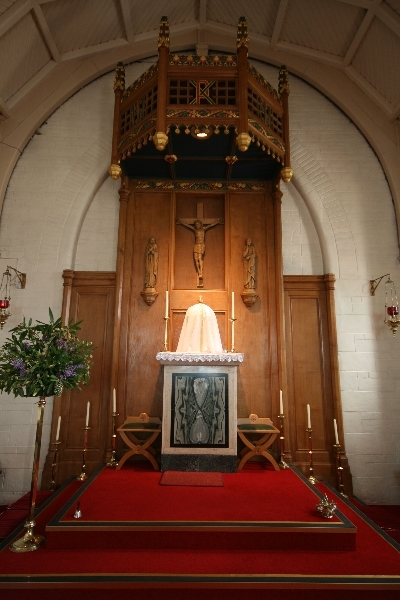 I notice, by the way, that his chalice is in the sacristy at St. Mary’s and I was quite moved to see it there! It was both Mr. Slorrach and Canon Kennedy who helped me realise my vocation. They helped me go off to the Junior Seminary of the White Fathers (Missionaries of Africa) at St. Boswells, near Melrose, back in 1962. 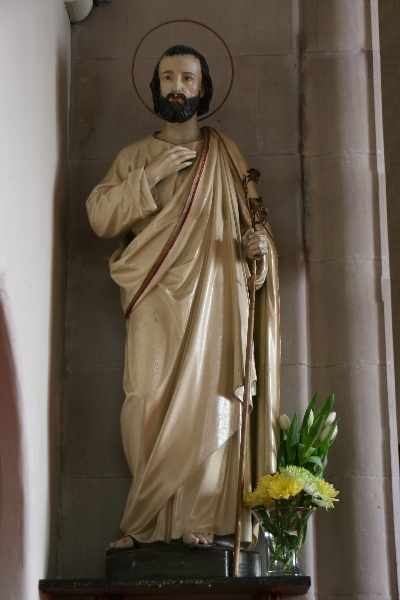 So, you see, I like to think that my missionary vocation finds its roots in Forres and it was from there, now one of the two parishes served from St. Mary’s, that I went off to Africa. It is through my sister, Anne Marie MacKenzie, that the link with Nairn is maintained. She married a local man, Tom MacKenzie from Auldearn, and has stayed in Nairn ever since… However, she has never lost her original Yorkshire accent! My missionary life has been very varied. 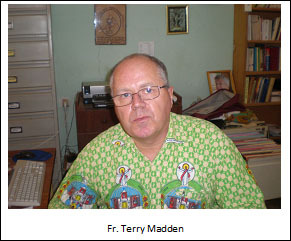 I made my missionary oath in Strasbourg in June 1981 and was ordained priest in October of the same year. The first eight years of my missionary service were spent in the diocese of Ouahigouya in Burkina Faso, West Africa. They were tumultuous years, marked by the famine of 1984 – 85, the revolution of Thomas Sankara in 1984 and the beginnings of the growth of the local African clergy who eventually took control of their own church in the 1990’s. Tumultuous years, but happy. I loved the life there in the country parishes, serving the people and doing what I could to relieve their sufferings. This consisted of famine relief, development of better agricultural methods, construction of dams and water retention systems, and a huge effort to improve the literary skills of the people, in the absence of a formal education programme by the government at that time. 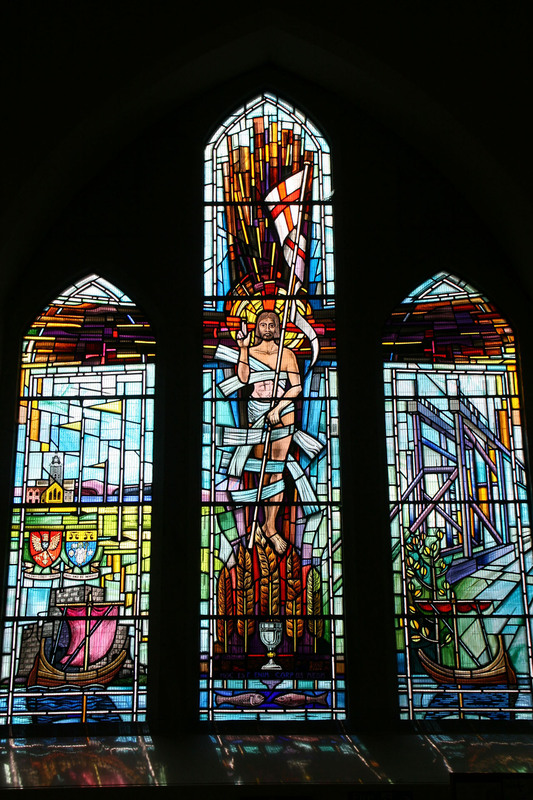 But the main means of liberation was to try and introduce the people to the Saviour and Liberator, Jesus Christ. He alone could give them the change of heart and hope that would help them realise their own destiny to be free and upright children of God. In 1989 I was brought back to the UK to work in vocation animation in Scotland. During the next 5 years, I covered 120,000 miles on the roads of the north of England and south of Scotland, visiting schools and parishes to invite young people to be part of the Church’s mission project. At the end of those five years, not one person had responded to the call! My next appointment was to the Philippines, to do the same work, with not a lot more success. I spent five happy years there, enamoured by the hospitality of the Filipinos, the strength of their family life and the vitality of their Church. Unfortunately, they were not enamoured by the missionary vocation, and very few of them responded to the call. At the end of that time, in 2000, I was allowed a sabbatical year before being reappointed to Burkina Faso in February 2002. I have been there ever since. I spent the first two and a half years in a parish and then was asked to take up vocation direction again in Ouagadougou. After so many years of barren harvests in Scotland and the Philippines, my work in Ouagadougou knows a harvest of a hundredfold. There are many young men and women willing to give themselves to the Lord and take up the mantel of the mission that Jesus gave to his Church to bring the Good News of Salvation to the four corners of the world. Thanks be to God. 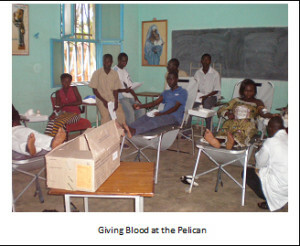 In 2012 the Pelican Study Centre in Ouagadougou celebrated its 20th anniversary. 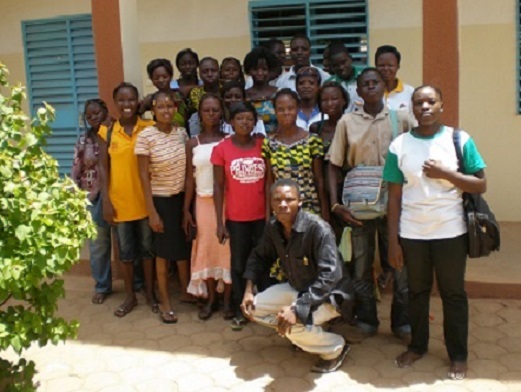 Twenty years of serving the youth of Ouagadougou by offering a secure environment for study, a library and remedial classes for those who have failed their school exams. 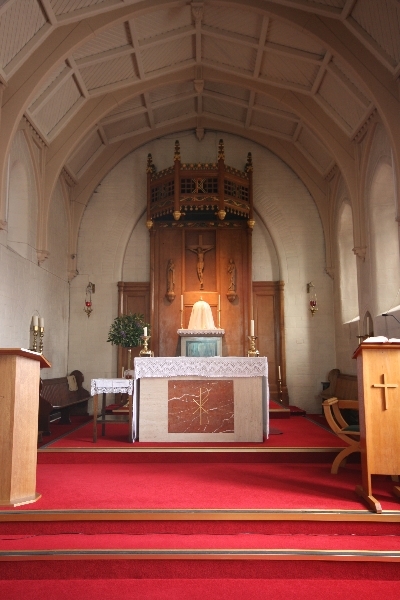 During the past few years, the parishioners of St. Mary’s, Nairn, have supported financially this charitable endeavour. The Missionaries of Africa have always believed that education is one of the essential means of helping people lift themselves out of poverty and its destructive consequences. Here in Burkina Faso they were the principal movers in the education of youth until the government stepped in and took over all the mission schools in 1968. Many government ministers and leaders in the country have been educated in Catholic schools. In 1992, Fr. 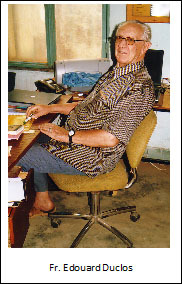 Edouard Duclos, was appointed to Ouagadougou to set up a centre for study with a library. It was to be a safe place for school children to meet and study. The centre would need to have electricity to light up the area at night; something the young people did not have at home. Many of them studied under any available public lighting, but these places left them vulnerable to thieves and violent men. Very soon after opening the centre, Fr. Edouard realized that many the participating pupils had failed their exams at school, either the BEPC, after 4 years of secondary school, or the baccalaureate, at the end of school. Many of them would ask him to find them tutors who could help them study and prepare to repeat their exams. So Fr. Edouard asked some students he knew at the university to come and give tutorials to the pupils. This was the beginning of the Pelican Study Centre as we know it today. Since Fr. Edouard retired back to France in 2006, two other Missionaries of Africa replaced him before I was asked to take it over in 2011. 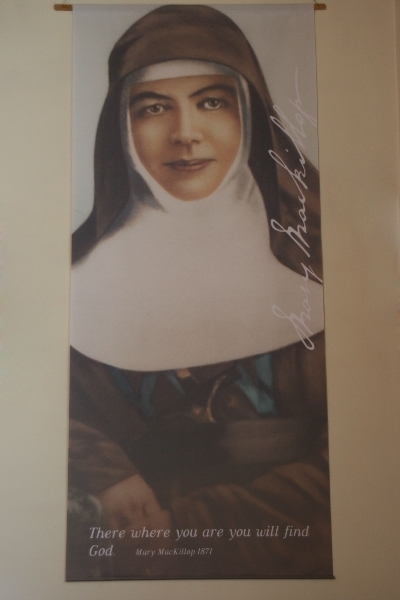 Before I came in, my predecessor was able to modernize the facilities, with the help of the Society of Missionaries of Africa. He built a building with two floors. On the ground floor we have three classrooms, two for teaching and one to use as a computer room. On the first floor, we have a large classroom and a dormitory with two smaller bedrooms. This floor is essentially the centre to welcome our vocations candidates, but the pupils of the Pelican can use the classroom during the week. 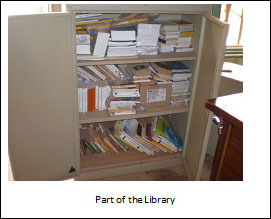 Over the past few years we have also invested enormously in the library and the study area. The study area was covered to give shade and protection from the wind. The library was restocked with school books, African literature and novels. These improvements could not have been made without the support of our friends and benefactors. This year of the 20th anniversary we have enrolled 195 pupils: 114 girls and 81 boys. Of these 99 are Catholics, 9 Protestants and 87 Muslims. I quote these figures because they indicate an important aspect of our work. Unfortunately, due to the traditional way of thinking in most families, boys are favoured over girls when it comes to spending on education. If a family cannot afford to send all the children to school, preference is given to the boys, as it is hoped that they will be able to contribute later on to supporting the family. The girls are destined to be married and will leave home and become part of their husbands’ families. This is one of the main reasons that more girls come to our centre than boys. Another important aspect of this project is dialogue between the principal faiths. Even if the centre is a project of the Catholic Church, about half the pupils are not Catholic. For many of the Muslims and the Protestants, it is their first experience of close contact with Catholics. This experience will help us break down the prejudices which often colour our relationships and even divide us. We do not only want to give classes to prepare the exams. We also want to broaden the pupils’ education and general knowledge. So every Thursday morning, a day without classes, we give conferences on topics that will open their minds and help them become better citizens, more involved in the development of society. The Pelican is a charitable foundation to give hope to those who have failed their exams and who cannot return, mainly for financial reasons, to the public education system. The pupils pay a contribution of about £45.00 at the beginning of the year. But this sum only covers the salaries of the teachers. We still have to find about £20.00 per pupil per year for the administration and running costs of the centre. This is a lot of money for us here in the province of West Africa. The contributions of the people of St. Mary’s are a great help in the realisation of this project.